After Evie's birthday, Dan was up next. His birthday is the day after Evie's - April 8th. I managed to surprise him in a big way this year. He didn't know I was pregnant. Kidding. Even so, I think it may have been the best birthday present I've found for him yet. I'm going to leave it to him to blog about it, though. 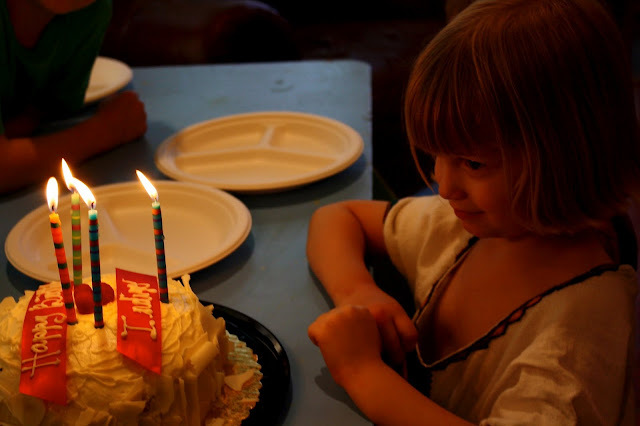 Indigo's birthday came last, on April 11th. 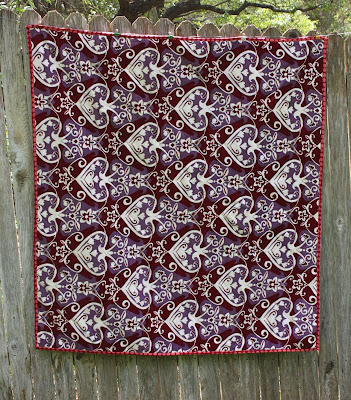 A couple months ago, when I was working on the Love Letters quilt, she would pick out a patch of Anna Maria's velveteen, hold it to her face and tell me how she wanted a quilt of all velveteen for her birthday. 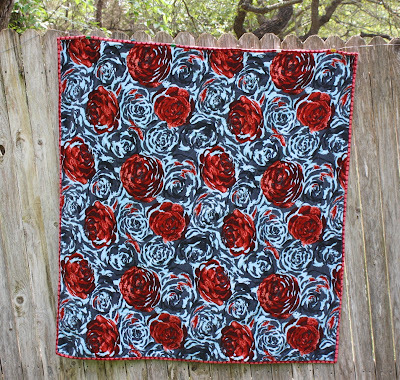 Anna Maria described how the velveteen can be challenging to work with because the texture of the fabric makes it shift a bit while sewing. 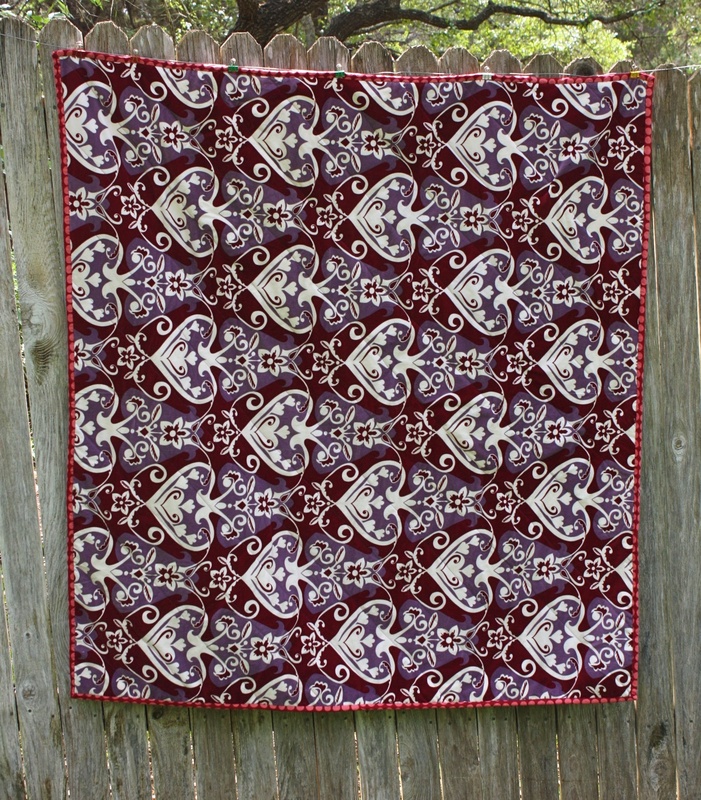 Even with pins, I found it to be hard to piece, although worth the effort, being most of my Love Letters quilt was made up of quilting cottons. 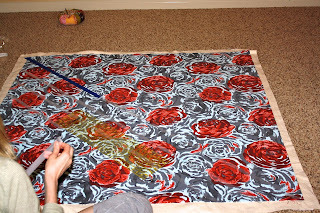 Still, I wasn't up for piecing an entire quilt top in velveteen, especially not in the nauseous and fatigued state that I was in at the time. So, in February, I let Indi choose her two favorite velveteen prints. I planned to quilt them together - no piecing. I had hoped that she'd forget about it by April - that it would be a surprise. I heard no word from her about through February or March. About a week before her birthday, I started working on the quilt. I was cutting it a little too close for my comfort, especially because I was determined to hand sew the binding. It was okay if it was a few days late, I thought, after all, she's probably forgotten all about it by now. Forget about it, she did not. 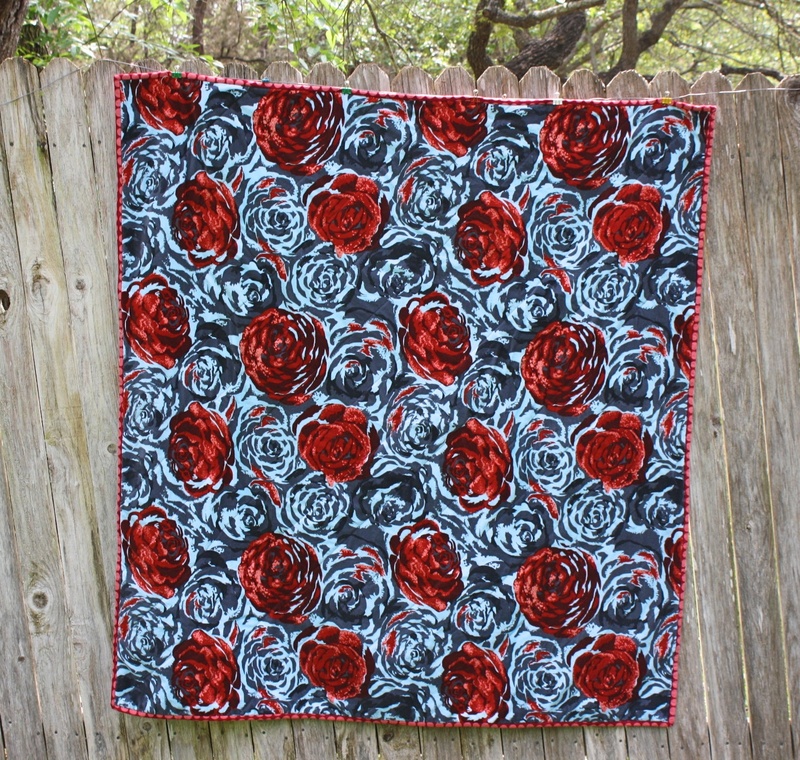 Four days before her birthday, she exclaimed, "Oh mom, I cannot wait to get my new velveteen quilt for my birthday." At that point I was right about here in the process. The pressure was on. I was unsure whether I'd be done in time. But I didn't want to let her down. T-3 days to her birthday I picked up the binding fabric. I hand sewed the binding in the final two evenings. That has become my favorite part of the entire process. I avoided it for as long as I could but have grown to love it now. There is nothing quite like cozying up under a freshly sewn quilt, making my way around the binding one quiet stitch at a time. I finished... only hours before Indigo's birthday. But finished I did. That's all that really matters, right? Happy 4th Birthday, sweet Indigo! Your exuberant joy blesses us every day - just like you do! Exquisite quilt, scrumptious looking cake, and one BEAUTIFUL girl! p.s. thanks for your sweet comments on my blog. I am so happy we are going to be having these babies together. I was disappointed I couldn't have another home birth, but it only lasted a short minute, because I know this is the best for the baby (my midwife agrees too). Oh, and btw, I didn't have to do the quad screen yea! Wow. Indigo has really good taste. I love the blanket! I want one. I'm excited about your new baby and can't wait to read YOUR birth story. Wow--3 birthdays in one week?!!! I think it's so cool that Jude made Evie a pirate hat, and the quilt is beautiful! That picture of Indigo with her birthday cake is SO sweet!